When coming straight out of a busy school term, the summer break is definitely the time to have fun, relax, and spend time with your friends and family. The warmer weather (and increasing daylight hours) makes it perfect for family and group outings. But, on top of all that, summer break is also a chance for you to do and explore things you normally do not have time for during the school year. Here are some ideas for what you can do during your summer break. Discover volunteering opportunities on your local volunteer centre website! Volunteering is a great way to explore different fields of work and discover where your passion lies. Besides, volunteering can be very rewarding and helps you feel connected to your community. Summer jobs and paid internships usually require a time commitment of several months. However, not only do they help you earn some extra cash, these positions are also a great way to get some experience, build your network, and potentially gain a more in-depth understanding of your field of interest. Websites through your school’s career services or others like indeed.com are a great place to start. If you have an idea about what internships you might be interested in, LinkedIn also has great resources to help you get there! If there is a city or country you want to explore, summer break is the perfect time for your visit; especially if you plan to stay there for a longer period. While it may be the most convenient to go with a standard travel or touring company, planning your own trip is certainly more economical and allows a more flexible schedule (and usually more fun, too). Also, watch for travel opportunities organized through your school or other organizations like SOS. These trips are usually more affordable, have a specific focus, involve going as a group, and are once in a lifetime opportunities. Summer is a great time to learn for leisure. Acquiring new knowledge such as learning a new language, or about nutrition and self-care, can be very practical and at the same time beneficial to you. You may also want to hone your writing and reading skills, or take this time to learn how to learn in a systematic way. If you want to get a head start on new material, or study an subject you did not have room for in your class schedule, resources like Minute School that offer quick lessons on academic courses can be a great help. 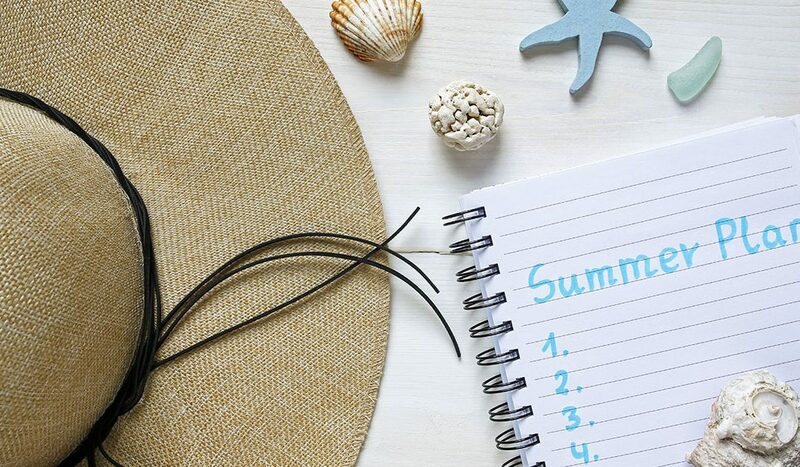 Plan your summer wisely, and don’t forget to enjoy the warm weather and bright sunlight!